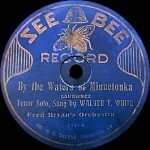 Banner Records was a United States based dime store record label manufactured between 1922 and 1938. 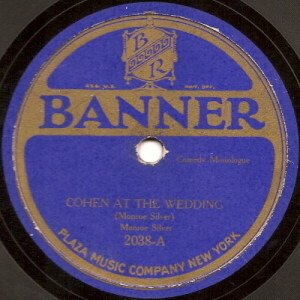 Banner Records was launched in January 1922 as the flagship label of the Plaza Music Company of New York City. It was created primarily for the S.S. Kresge Company, though it was employed as a general purpose budget label in other discount stores as well. 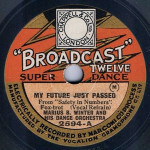 In July 1929 Plaza Music Company merged with Cameo-Pathé and the Scranton Button Corporation to form the American Record Corporation (ARC). 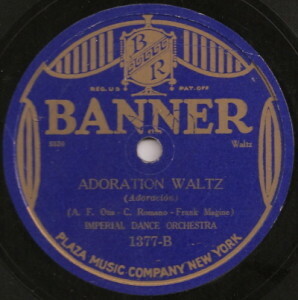 While ARC-BRC did eventually drop some of the dime store labels along the way, it did keep Banner until the end, which came in December 1938 when the CBS Broadcasting Network bought ARC-BRC and liquidated all of the dime store labels. 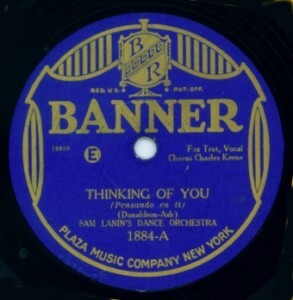 In December 1946, entrepreneur Sam Selsman formed a new Banner Records label, devoted entirely to Jewish music and Yiddish-language comedy routines; although this later Banner Records no longer actively records, its catalogue still remains a going concern even today. 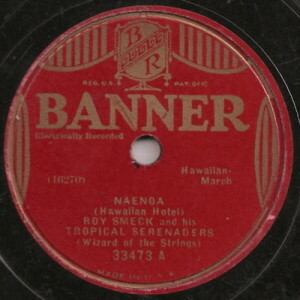 There is no relationship between the Hebrew Banner label and the earlier products of Plaza Music or ARC/BRC. Likewise, there is no relationship between the Banner Records of the 1920s and 1930s to a dime store label put out by Leeds and Caitlin in the early 1900s, though the label design is oddly similar. 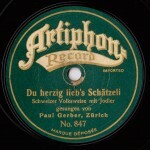 Folge 78rpm - Clubs Pinnwand „BANNER Records - 78rpm sleeves“ auf Pinterest.